Copyright �2009 PopEntertainment.com. All rights reserved. Posted: June 25, 2009. Drugs and addiction are a problem which has touched most people on Earth in one way or another. However, Hollywood has had a tendency to slightly romanticize the narcotic world � showing hard-living gangstas, tragic addicts or goofy stoners. Show biz has rarely taken a hard look at the lows of addiction and rehabiliation � until now. The Cleaner is based on the real-life adventures of Warren Boyd, who has made a living of sobering up addicts. Boyd created the series to show the real story of the ugliness of addiction. His star is popular actor Benjamin Bratt, who spent several years as a cop on the venerable series Law & Order. Bratt plays Boyd�s alter-ego William Banks � a recovering addict himself who now is hired to conduct interventions and force alcoholics and addicts to face their demons and clean up. His techniques are not always pretty (or sometimes even totally legal) but he does his best to get the job done. Bratt and show creator Boyd had a recent conference call with PopEntertainment and several other websites to discuss the second season of The Cleaner. How close is this show to your real life Mr. Boyd? How many dramatic liberties do you have to take? Warren Boyd: Well the mechanics of the show are very close to my real life, which sets me back about thirteen to fourteen years ago. And that's where I was - what you see on the show is where I was about that long ago and in the process and everything that you see. So it's pretty close and there's a lot of influence in the writers room and with Benjamin. So we keep things as authentic as we possibly can and Ben's really good at doing that. Mr. Bratt how much do you follow Mr. Boyd around and try to sort of get into his head? Benjamin Bratt: Well, you know, it's funny because it didn't really take too much research into playing the guy. As soon as you meet him� I don't know if you've ever seen a picture of him, it gives you an immediate insight into how to play him. He's a motorhead, he's buffed, he wears black t-shirts and jeans and black boots, he rides a Harley. He'll knock you out as soon as he'll smile at you. So with that first impression it gave me a really fine starting point, which combined with the script in the final words of Robert Munic from the pilot, gave me a really clear approach on how to portray him. You know, all kidding aside there's also a lot of subtlety to who Warren is and what he does. And not a little mystery. I mean as well as I've gotten to know him now through two seasons of doing the show and feeling pressed and just hanging out in general. He's still one of those guys who whether it's cultivated or not � and I tend to think that it's not because it's a pretty organic thing � there's an aura of gravitas to him and a little bit of mystery that you can't really penetrate. I think that's part of what made him appealing for me to play because I don't have any of that. So, you know, it was nice to put on someone's clothes it [in which] you will. You have a couple of really funny guest stars in the season premiere. The show is obviously fairly grim of the subject matter. Do Whoopi Goldberg and Gary Cole get to be funny? Benjamin Bratt: I think Whoopi gets to be funny just because she�s a funny lady but we never lost sight of the fact that she�s also an amazing dramatic actress. So she comes on with her full skill set and she really did a beautiful job for us. We�re lucky to have her back as a recurring character as her schedule will allow. She will appear in three episodes this year so that�s good news for us. Gary Cole did a remarkable job in the premiere episode playing a nationally recognizable newscaster who is strung out on speed and in desperate need of help. He happens to be married to a woman who�s suffering from terminal cancer (played by Jayne Brook of Chicago Hope) and he�s spinning out of control. His performance required him to run naked across the beach as well as being tied down and sedated forcibly and he did it all with a smile and a lot of bravery in his performance. I think people are going to be surprised. Benjamin, obviously Mr. Boyd has had a lot of experience with these types of things, but before you got involved with the series� I mean everyone has someone that they know who has had substance abuse problems and interventions� Had you had to deal with that previously and did that sort of make the character more intriguing to you once you read about it? Benjamin Bratt: Well the subject matter is all too close in my own personal life. I have an extended family and a wide circle of friends from various communities within and around San Francisco. So I have very tragic stories in my own personal experience. Of course that�s ever present in my mind, but what really drew me to the project was how it was rendered. I have never seen a one-hour fictional drama that at its central focus, the exploration of a second chance when you�re facing a substance abuse problem. I mean, the shows that remain popular on television today are procedurals that are either cop dramas or medical shows. To me, it just felt like the right fit where you have a show that has a little bit of that structural element there where it�s procedural, you know, in terms of its skeletal structure. Yet the subject matter that it explores, which is equally life and death stakes, is something that is here-to-fore been considered taboo. An open discussion about substance abuse is not something people were really willing to talk about ten years ago, so the timing was really right. What I found in participating in this project and hearing the responses of the people who watch it is that it really resonates with folks who happen to tune in because of its prevalence. Because of the prevalence of substance abuse and how it really affects most of us, whether we have direct contact with it or not. Now you have worked on series both on the networks and on cable. Obviously, like you said, your first series was a procedural show and a very structured one at that. Do you find that working on cable opened you up to do certain things that you couldn�t necessarily do on the networks? Benjamin Bratt: Absolutely, I mean I�m a proud alumnus of Law and Order, a show which is as you all know, has just been picked up for its 20th season. That is a remarkable record and it is a good show. But what I did as an actor on that show was really sort of as an expositional tool. The difference here is extreme. As much as I loved that job, what I�m afforded the time and place to do on this show is to create a three dimensional character who has the complexity and dimension of someone from real life � because it�s based on someone from real life. So while you have at the center of our story, William Banks, a man who was chosen as his vocation � the job of saving lives � which by all considerations is a heroic feat. You have someone who is deeply, personally flawed, who in the balance of succeeding at work, fails miserably as a husband and often times as a father. To me, I just thought that was an interesting tension to play against and one that I sometimes can relate to as an actor who works out of town. In the doing of this show, have you absorbed a lot of the information � maybe even too much of the information at times? Which is to say are you spotting warning signs real and imagined in people because it�s seeped into you because of the show? Benjamin Bratt: It�s funny you mention that because my wife (actress Talisa Soto) continually (teases) me for me pretending to be a detective because I played one on TV for four years. Maybe I�ve always been suspicious of people and slightly paranoid, which lent itself to being a detective. In a way, what Warren Boyd does � and likewise what William Banks does � is a kind of detective work a lot of which is reliant upon gut instinct and experience that comes from personal history, so am I more aware of the symptoms? I think so. Am I more suspicious than I had been before of anyone I come in contact with? No because I�ve always been suspicious. Okay, fair enough. And by the way, yes, in the return episode when turning off the - closing off the toilet so it wouldn�t flush, so you can get a sample, that�s very classic detective work isn�t it? Benjamin Bratt: Boy, I�m glad you picked up on it. The great news is that we�re in a situation where art is imitating life and the source from which the life experience is drawn from is as colorful as anyone you can imagine. Hopefully you all will one day get a chance to meet Warren. He�s quite a character. I don�t know whether anyone has done any research into this, but is it possible that you have some insight into who the typical viewer is� and I say it knowing there are a million or more. Are they more or less likely to have been touched by addiction or are they watching the show and saying, been there done that? Do you have even an unscientific survey or at least a gut feeling from your interaction with people that would tell you that that�s the case or not? Benjamin Bratt: We�re aware that the show is pretty popular with everyone, but I think if we were to be really frank, we�re skewing higher with women in the 30 to 40 range. I don�t know if that has to do with the subject matter or if so much it has to do with the fact that, we hope anyway, that we�re succeeding at creating compelling drama. All good drama comes out of conflict and when you�re dealing with it at the center of your show, a subject matter that does have life and death stakes in it, again things don�t get much more dramatic than that. I think also the fact that there�s a real deep emotional soul hopefully to what we�re trying to accomplish. The situations that our guest stars find themselves in, the struggles they�re going through, the obstacles they need to overcome. All of these things become relatable because if the story telling is simple enough, elegant enough, personal enough in its approach something that anyone can relate to. The last thing I would say to that is that, you know, at the end of the day, what our real aim is in creating the show and telling these stories is to always remind people of the possibility of a second chance. Whether you have familiarity with addiction or not, everyone knows what it�s like and wants to receive a second chance and that�s what the show is really about. I know that the show has to do with rehabilitation and you were just talking about how you were bringing that type of awareness into society through the vehicle of a dramatic television show. I�m curious to know what you both make of all the celebrity rehab shows and the general idea that in Hollywood rehab is like a second home to so many people. How that might effect the way you look at the show or approach the show, et cetera? Warren Boyd: The way that I feel about that stuff is that everything has a mechanism in it that can help and those shows, you know, God bless them because they are helping people. I mean, I don�t count the numbers or anything like that but I have thought that anything that can be out there on a grand scale, that can touch people and help people, hopefully that�s what�s going on with those shows. I think it is. I was wondering do you think that your character will ever get back together with his ex-wife? Benjamin Bratt: Good question. I won�t answer it directly. I will say that just like all relationships that have, at its core, real love between the two individuals, there is always going to be an effort to try. At the end of the first season, William Banks was kicked out of the house by his wife because he was spending more time on the job and not doing the things that a good husband should do. So at the opening of Season 2, he�s sleeping in a dilapidated back room of the shop where he holds the lease in that auto building - that motorcycle building. Over the course of the second season, they will still relate as they need to because they�re co-parenting. Then my son takes a job at the shop during his summer vacation and hopefully by the end of the season, you will have a much clearer answer to your question so stay tuned. What other things can you tell us about the rest of this season? Anything that you can let us know about what�s going to happen? Benjamin Bratt: We have a really impressive roster of guest stars who come to play with us on the show. Everyone from Christine Lahti to Joe Don Baker, Michael Beach, Shirley Jones, Rebecca Gayheart� A lot of actors who are very familiar to audiences everywhere who really just want an opportunity like most good actors to do good work. What that really means, what that translates to is that the writing is strong enough to draw this kind of talent a television series, which I think up until a short while ago was considered like a disastrous career move. I think the good news for everyone, both actors and viewers alike, is that the level of the game, the level of work being done on television is oftentimes far superior to what you�ll find in a movie house. As a result, you only need to look through your local TV listing to find a lot of movie actors now populating the television landscape as series regulars. I think that says a lot about the quality of the work that�s being done on television these days and we�re hopefully following in step with that. I wanted to ask about William�s kind of one-sided relationship with God and how he often talks to God. One, I want to know if that came from Warren�s experience? And also, Benjamin, how do you play those scenes because they come off really sharp, they�re not hokey or, you know, too heavy as far as a religious aspect? Can you talk about that a little bit? Benjamin Bratt: Sure well let�s start with Warren. Warren Boyd: I think that�s carried off really well by Ben in the series and, you know, of course honestly I do a lot of praying. Ido a lot of what I call contact with God and I think that the way it comes off in the series is very honest. It�s a very honest way for him to let that out there. And, no, I don't stop and exercise my voice talking to God every day out loud. It's not quite like that. But it is the same thing. Benjamin Bratt: What we've taken from Warren's life and now are actually utilizing as a thematic structuring for the show is this one-sided conversation to God. That's part of the reformatting of the second season in how we're both focusing more on the story of the guest star and their particular dilemma and using that opening monologue of William�s to God as the theme of what will follow. You're right. It is one-sided and that's part of the fun in doing it and part of the fun, I think, for the writers in writing it. Like with most of us who feel like we do have a relationship with a Creator, it remains, as far as we know, one-sided. We're not necessarily certain that He's up there listening. What's funny is sometimes you'll have directors who come in � guest director of the week � and they'll want to put a camera way up in the corner of the room like twelve feet up and William perform the scene from down below. Jonathan Prince, the Executive Producer and show runner is fine with saying, �Well, we can't do that because we're not sure God is listening.� You can't have God's perspective because otherwise it means that He's listening. That's part of the fun really that we're poking fun � that in that way Banks and his relationship with God is � it�s not so heavy. There is levity in it because you're not necessarily sure He's there. Benjamin, you do such a great job as William. But I also know you have a much darker role in this movie you did with your brother, The Mission.I wonder how did you approach that because I know that character is antigay and like throws out his son and all this. Can you talk about that a little bit, how it's different from William and how it was to play that? Benjamin Bratt: Yes. What's interesting is I went from shooting the pilot directly into preproduction on this film that I co-produced with my brother, La Mission, which is about the Mission district in my hometown of San Francisco � a neighborhood that I'm quite devoted to, as is my family. Then as soon as that film was wrapped - literally we wrapped on a Sunday and I was meant to be at work the next day on what was then to be the first season of The Cleaner. So there wasn't much breathing space in between. Thankfully, both characters required a beard. But, you know, my job as an actor is to render the most accurate, most complex portrayal of whatever's written on the page. Thankfully, in both cases, there are elements to each of the characters' respective qualities � however dramatically different they are � that I could relate to. Both are fathers. Both have come from a school of hard knocks. Yet both are extremely and utterly devoted to their respective families. That's how I am in real life. As much as I love work, as much as I really love the responsibilities I have as a producer and as an actor on The Cleaner, my number one priority is my family. That push/pull that exists with the lead character William Banks succeeding at work while failing at home. I understand it very clearly. It has resonance for me. Rather than dwell upon it and bemoan it, I actually try to use it in the work. But I'm excited about The Mission, La Mission. We're slated for a 2010 release. We premiered at the Sundance Film Festival this January and then went on to open the San Francisco International Film Festival to a sold out house at the Castro Theater. We've since played at the Seattle International Film Festival. We'll open on July 9 at the L.A. Outfest, which is the largest gay film festival in the country and then we'll follow that up with the opening night at the Latino Film Festival here in New York on July 28. We have a very busy festival circuit schedule going and are very encouraged by the responses we've been getting for something that really amounts to a small story that has kind of global resonance. How do you think the gay community will react or how have they reacted so far to your role? Benjamin Bratt: I think that the response to the ultimate message of tolerance and acceptance is resonating with everyone, whether you're gay, straight, white, black, brown. It doesn't matter. What we're finding is that across genders, across orientation, across cultures, across age, the film is ultimately about family and that's what people are responding to. The center of our story is a man who's a reformed bad boy, a former OG who is into low rider cars and now's just a humble bus driver and he finds out that his 18-year-old son � his pride and joy � is gay. And he has a violent response to it. It's not just a little ironic that this occurs in one of the most progressive liberal cities in the country. Yet those social taboos are still in place in communities of color, in particular, the Latino culture and within the African-American communities. What we've noticed happily is that there's been a very lively debate that occurs after the film is played to sold out houses everywhere. That dialogue is ultimately healing. We've been very gratified by that. Thanks for asking. Best of luck with the new season. I saw the first two episodes and they're phenomenal. So good luck. Benjamin Bratt: Hey, how was Joe Don Baker? Did he break your heart? I wanted to know if you had any specific examples of people that you've talked to after the first season that were formerly drug addicts or maybe still are and how that touched them to watch a show like yours? Warren Boyd: Had a lot of people make contact either through the website or somehow get a hold of us and talk about how they were so easily able to relate to the episodes because of having an afflicted family member or an extended loved one that this problem took place with. All the feedback that I got was it was very authentic and comments really touched my heart. I had the same similar situation going on. Because of the authenticity that was carried out throughout the season, people continued to call and those calls still continue to grow. Benjamin Bratt: How many people have reached out on the website? Warren Boyd: There have been hundreds of people who have reached out on the website and we're crossing over 200 people that we've had contact with and done placement for or actually taken a case on ourselves. Still today there were about three that came in this morning that I was contacted about early this morning when I got in. Do you ever take any of those stories and maybe incorporate them into the show or give them to the writers or even tell the writers about them? Warren Boyd: In terms of taking someone's story, you know, who reaches out to us because of the show, I don't really feel too comfortable doing anything like that. However, in my past eighteen years I have taken bits and pieces from stories and from cases that I've been involved in and put them into episodes � as far as the mechanics and the real aspects of those episodes. What we're trying to do now is put together a database so that people who want to reach in because we're really getting a lot of it. When people want to reach in and be able to have a database that they can go to and really try to get us to help them with placement and, you know, counseling and things like that. Benjamin, so many good TV shows aren't given a chance to do a second season. So I kind of wanted you to take me through that data if you got the call to let you know that The Cleaner was going to be picked up for a second season. Benjamin Bratt: I don't want to bite the hand that feeds me, so I'll be diplomatic. I obviously felt quite thrilled to get the pickup. It's really grim out there. I don't need to say that to anyone. It's not new information that it's hard out there on everyone. Whatever the industry is that you're talking about, everyone's taking a hit. The jobs are fewer and far between. I count it as a major victory to not only be on a series that's had a full season run, but to actually be on one that's gotten picked up for a second season. I think the biggest leap for new TV shows is from season one to season two. From there it gets a little bit easier certainly up to at least a fourth year. So hopefully the chasm will be less wide in the leap from year two to year three. But that said, yes, it was a little bit of time before they made the decision. I think that they just really wanted to be sure that what we were doing had resonance. I mean, their new motto is real-life drama and as a flagship dramatic hour of television for them this show seemed a perfect fit. They were really encouraged, I think, by the initial response to the show. But they really were intent on having us get it right. So with a little bit of research and then in a very open, creative discussion with ourselves and the head writers, there was a refocusing of the show and reformatting, which by all accounts on this side has lent itself to a much-improved series. As good as it was last year, I think it's dramatically improved this year. That increase in qualitative level has resulted in bringing some really accomplished performers on board to play with us. I'm really excited about the start of the season. I think that anyone who was a fan of the show will be impressed by what they see in the coming episode. And anyone who's not been familiar with it will make The Cleaner a part of their regular viewing. I was very surprised that the very first episode of the series didn't concentrate on the tale of how the character of Banks came to be the person that he is today, to show how far down he's gone before being lifted back up with a second chance. At the time was there ever a conversation or discussion about if such an episode should have been filled perhaps? Benjamin Bratt: You know, in the first season towards the end - I believe it was Episode eleven or twelve, when one of my team members (Swenton, played by Esteban Powell) falls off the rails and starts using Meth again, there were a few little flashbacks of William when he was in the throws of addiction. That was about as close as we got to sort of imagining what that history was like. That's actually a very good idea and one that hasn't really been discussed yet. But I imagine, as we go forward� you know, the first season and the pilot episode, in particular, is very much an experiment. You have a bunch of great ideas and a bunch of interesting notions about what would make a compelling hour of television. You throw it all together and you - and then toss it against a wall and hope it all sticks. I would say by Episode ten or twelve of last year we had a pretty good idea of what was working and what was not and, thus, the restructuring that I spoke about. So we'll take that key. We'll take that note. That's something to discuss. Actually, it's kind of interesting to me because it would be fun to play, certainly. I probably have to shave, which my wife wouldn't like, but all in sake of the art. Yes, it's funny you should mention the shaving. Let's be honest, that goatee has got a life of its own, doesn't it? Benjamin Bratt: Yes, I'm having a couple of tenants in there. No, you know what's interesting about that? It actually became a lively discussion between myself and the powers that be as to whether or not I as an actor should wear a beard. One of my arguments was � and this is not a scientific fact, but I call it a fact nonetheless � that most addicts I know, most people in recovery I know� including Warren Boyd here sitting next to me� have facial hair. If we allow the drug addiction or drug abuse on some level is a masking of emotions or deep-seeded pain, then I would argue that in the face of recovery the need to mask continues and we do it in other forms. I think the facial hair - I'm using it anyway as a part of my character makeup as something to hide behind. I find it actually poetic, cinematic justice that while you were starring in Law & Order you actually appeared in four �The More You Know� public service announcements of topics aside from reading that were very Cleaner-ish: substance abuse, family communication and violence prevention. Perhaps you were destined for this role. Benjamin Bratt: You certainly have done your homework haven't you? Never ever anything predetermined. I guess I�m a do-gooder at heart, man. What can I say? I hope you take this with a pinch of salt that it's meant to come across as. They say in the industry when a show starts to bring in guest stars each week that it's heading towards jumping the shark. Any thoughts on that? Benjamin Bratt: Yes, far too early for that. I think what it means in our case is that the writing is top notch and all good actors understand you can't really be good if the writing's not good to start with. I'm going to ask about William's team. They basically play a cop, kidnappers, therapists, et cetera, when they're doing their job. In this season, can we expect more consequence for their sort of rogue manner of working with their clients? 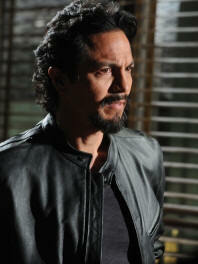 Benjamin Bratt: You want to take that, Warren? Warren Boyd: Yes, I don't know. I think that we did have consequence. I have had consequence like some lightweight consequences for some of the antics that were used to stop people from killing themselves. Some of those have already come to light. And, you might see a few more things � there's a lot to this show that people don't know about yet because we're really growing this show. 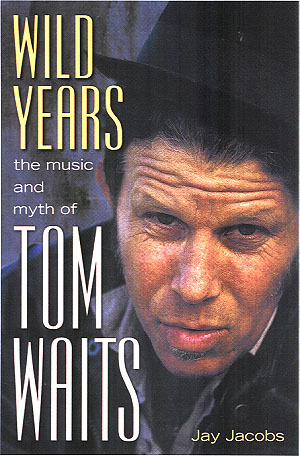 The good thing is, is that we have about eighteen, nineteen years worth of material that we can pull through. There are so many really cool things that people haven't seen yet that I'm sure that all of this is going to shake out into a sensible fashion for the audience. William's struggles with his own demons as far as his addiction aren't truly over. Can you discuss any possible temptation that might come his way during the second season as far as that's concerned? Benjamin Bratt: Well, I think it's important to remember and this is fact. I think that Warren would substantiate this: once an addict, always an addict. Benjamin Bratt: As far as highly regarded as William can be held for what he does, he is at the end of the day an addict. He's a recovering addict, but he's still an addict. Like any true addict he's replaced one addiction with another. In this case he may well be addicted to the high he gets from walking the high wire of saving people's lives. In something and down to something as superficial as continuing to smoke, which at every opportunity when we have it on screen we're trying to - for the negative connotation to because it is a nasty, bad habit and will kill you. So� what was the question exactly? In this season can you discuss any possible temptation to that or allude to it in any way? Benjamin Bratt: Specifically as it relates to episodes that we've got coming up? No, not specifically, but what I will say is that he like anyone else is human and in that he's human he's given into temptation just like you or me. A lot of people including the people that he's saved consider him William to be a hero. How refreshing and challenging is it to be able to play a real person � fallible, flawed, yet as heroic as Warren? Benjamin Bratt: Thanks for asking that. It�s a first for me and it makes it a joy to come to work, in all honestly. I've had a lot of great television gigs, but none that comes close to this in terms of its complexity and enjoyment level because he's drawn from a real person. The person I'm portraying on television is so complex and often times grouchy, I'll just be straight up. I kid him, he's like the candy bar with that crunchy outer shell with a gooey center in the middle. You know his makeup is compelling to me because again if you saw Warren in person and his persona, you know, the cover belies the inside on some level. He would argue against this, but I think what he does in his real job � not to say that his executive producing abilities on the show is not a real job � but what he's really exceptional at is helping people. [That] comes from a truly earnest and organic place and that to me makes him beautiful. When you combine that soft center� if you will� with an exterior that's been in part hammered by the school of hard knocks � that makes for a really pretty interesting character to play and to know. Warren, is it all hard for you at times to relive some things � whether it be in writing or filming or just watching the episode? Warren Boyd: I'm really glad you asked that question. What I can tell you about [is] that it's actually sharpening my pencil to be honest with you, because as I see these episodes and know that some of that stuff is drawn from the truth � in fact quite a bit of it. It actually just really takes me back to school for a minute so I can sort of sharpen my stick a bit. And no I don't have problems, I do feel emotion behind a lot of it, but I pushed it into an area where this is just a tune up. It�s a tune up for me. Mr. Bratt what is it about the show that you think continues to draw in so many viewers? Benjamin Bratt: That it�s good drama. That's the short answer � I think we're making good TV. The writing�s good. I think the construct of what the series is unique. It has enough familiarity in terms of the procedural elements that exist to draw people in, but also a unique enough take on its exploration of the human condition to keep people coming back. We talked about it a little bit earlier � that the subject matter at the center of the series is fairly new in the public discourse. As far as I know, I haven't done any research about it. As far as I know we're one of the first � if not the first � one hour dramas to have at the center of our show a discourse on substance abuse and recovery. Again we have over 22 million addicts in this country and if you extrapolate those numbers into the numbers of lives that are affected by these addicts and their behaviors � that's a whole lot of people. So I think there's real resonance out there and that's partly why people are tuning in, that they're being moved by the drama, but maybe they're seeing a bit of themselves or their own people in their families in their lives being played out. There's such great chemistry between you and Grace and Esteban and everyone on this show, how do you guys continue to maintain that? Benjamin Bratt: They're both wonderful people. The reality is, is we all love our jobs. That's no exaggeration and our best days are when we get to do scenes together. More and more this season I've found myself alone or with the guest players, but the days when Esteban and Grace come to the set and we get to work out scenes together and go at that banter with one another are some of my best days. What would you like to say to everyone who is a fan of you and the show? Benjamin Bratt: Tune in. You're going to be pleasantly surprised at the new and improved version of The Cleaner. Has there been any episode maybe in the first season or even in the upcoming season that's been filmed that has affected you more than any other? Benjamin Bratt: For me the episode that has affected me the deepest and that I feel is the best work we have done collectively so far is an episode that will air second in our lineup. It stars Joe Don Baker and Michael Beach it's called �Last American Casualty.� It'll actually air Tuesday on June 30 at 10 pm. It's a very simple story and I think that's what allowed the show to be so compelling that the story telling was simple and elegant. It's about these parallel lives of two struggling alcoholics who come from very different backgrounds, very different socioeconomic make-ups, yet the devastation that alcoholism is wrought on their respective lives ties them together in a form of brotherhood. I won't tell you what happens in the end, but Joe Don Baker and Michael Beach both killed it and they will break your heart, I promise you. If something does affect you do you ever get to say, you know, the way I'm feeling when you talk about this episode, can we change this or this or this? Does that ever come up? Benjamin Bratt: Yes, the good news is that I don't develop the stories, but when the scripts are finally rendered actually the writers and the other producers listen to the input I have. Because I like to say that there's no one that knows my character better than me and that's the way it should be. I share a lot of a ideas with Warren. He shares a lot of ideas with me. The template for how I play this guy is right here in front of me almost daily. As long as I'm being true to who that is, the words at times are not necessarily even relevant sometimes. And this question is for Warren. It was mentioned earlier the toilet bowl trick that's in the first episode have you actually ever done that? Warren Boyd: I'm going to be just blatantly honest with you right now, I did it last week. That's a fact. Warren Boyd: It's a temporary disablement of the toilet and some toilets you can't do that to. You have to actually get inside the wall from the other side and it's really difficult but, more to be revealed. Warren going back to when you were originally developing the series, did you have anyone in mind? Was Benjamin in mind to play the role or any different actors? Is it at all weird seeing somebody sort of portraying your alter ego on TV? Warren Boyd: Well that's a good question. I can tell you that I really specifically didn't know who to picture in the role. I must say that I believe that everything with this TV show came together almost from a higher power to me. Because I can't imagine anybody else playing the role at this point then Ben. It's not fathomable to me. I feel like he was supposed to do it and I feel like when he stepped on, that's when everything changed. It all started to become real because of his interest in keeping things authentic and not trying to do a Spider-Man show. Benjamin Bratt: I think Warren's prerequisite really was that of whoever they cast needs to be taller and better looking. Benjamin Bratt: That was a joke by the way. Warren Boyd: But it's true, but it's true. 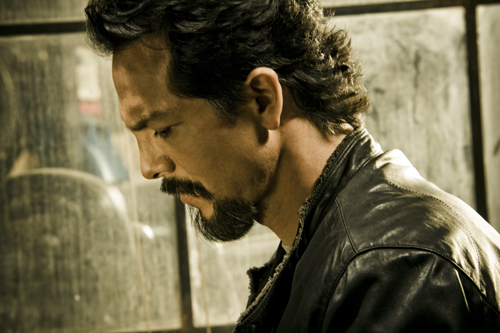 CLICK HERE TO SEE WHAT BENJAMIN BRATT HAD TO SAY TO US IN 2013! #1 � 2009. Courtesy of A&E Network. All rights reserved. #2 � 2009. Courtesy of A&E Network. All rights reserved. #3 � 2009. Courtesy of A&E Network. All rights reserved. #4 � 2009. Courtesy of A&E Network. All rights reserved. #5 � 2009. Courtesy of A&E Network. All rights reserved. #6 � 2009. Courtesy of A&E Network. All rights reserved. #7 � 2009. Courtesy of A&E Network. All rights reserved.